Thank you for your continuous support as always ! I am very happy to see that many of you are interested in seeing more translations from Sayu’s Personal Book ! 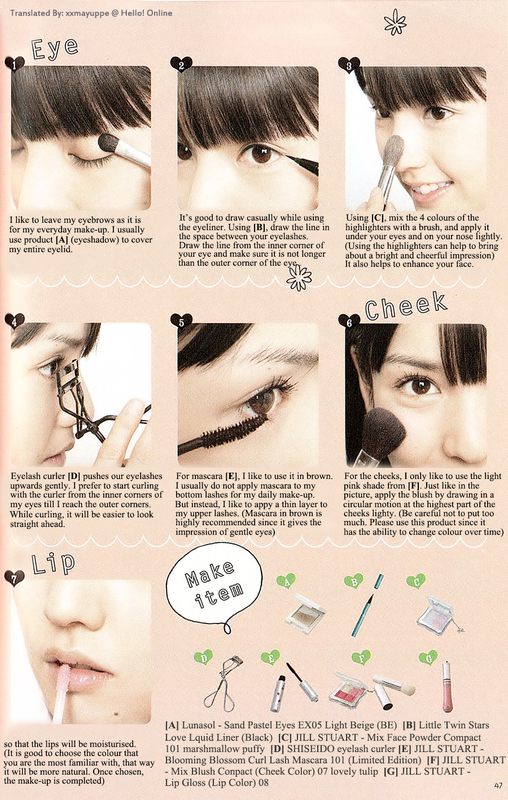 Here is the third part of the Make Up section in Sayu’s Book which will consist of pages 46 & 47. This time they will be focusing on Sayu’s Daily Make-up Routine. Comments & feedbacks on how to improve are much appreciated. Do check back for more posts, the next one will be the last one for the make-up section which is Sayu’s Stage Make-up (part 4). Stay tuned ! After that I will be translating Sayu’s hair arrangements which will also come in 4 sections!